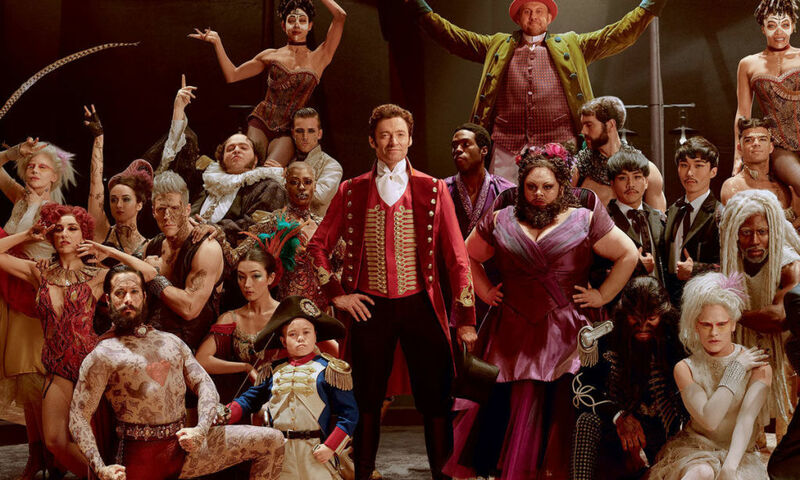 5 Reasons You NEED to See ‘The Greatest Showman’! So I recently made use of a very handy Meerkat Movies (shout out to Oleg & Co.!) and went to see The Greatest Showman – the newest musical to hit cinemas! Now I know I don’t normally talk about films on here, in fact I don’t think I ever have so this is a first for me! I feel like I pretty much fell in love last Wednesday night, and it wouldn’t be right if I didn’t share why, whilst absolutely encouraging you to go fall in love too. Reason No. 2 – It makes you feel happy/hope/positive/determined. It might well just be me that walked out of the cinema feeling soppy AF but hear me out; this film focuses largely on outcasts – I won’t spoil it, but it’s about learning not to be ashamed of who you are & being proud – standing in all your glory, no matter what. It basically just makes you wanna go punch the stars right out the sky! The song This is Me is like the the song that screams all that, sung by the mighty Keala Settle. Pure. Magic. Reason No. 3 – The cast are epic. If like me, you’re used to seeing Hugh Jackman as badass Logan in the X-Men saga, then it might come as a bit of a surprise to see him don a top hat & red tails, all-singing, all-dancing! Let me tell you though, he is wonderful. There are so many different elements to his character and you feel every emotion that he feels – like you’re on his journey with him the whole time! The film also stars Michelle Williams, Rebecca Ferguson, Zac Efron & Zendaya – these two by the way, have such a beautiful chemistry. Reason No. 4 – Even if you’re not a musicals fan, you’ll love this! The proof is in the pudding my friends – or rather my boyfriend! He is the most anti-musical person you could meet, but he watched this with me and walked away saying it was one of the best films he’d ever seen. Don’t be put off just because it may not be your usual type of movie – give it a whirl! Reason No 5. – It’s non-stop. Literally you will not have a minute to even wonder if you’re gonna feel bored, because this kicks off with such gusto that you’re enraptured from the beginning – and it doesn’t let up! It flows beautifully, you connect with every character & you won’t want it to end. So… have I convinced you? Will you go & see it?! Or have you already been? If you have, let me know what you thought of it below! Such a good movie!! Good reasons! Agree with all of them! Reason #6, Hugh Jackman, Ben and Jerry’s. Heaven! I 100% completely agree, I am not the biggest musical fan out there but I absolutely love the movie.